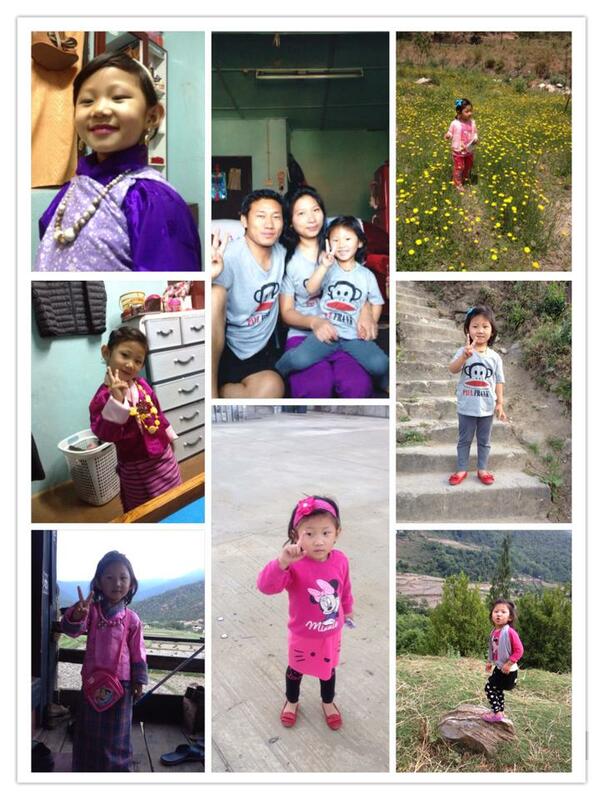 Tomorrow is my daughter, Pema Yangki Dorji, so called Olivia's birthday and again I am missing there. It really aches my heart but got nothing better to do than write something for her which will be memo when she grows up. This time what sadden me most is even her papa won't be there since he also left for the study. Now she must be wondering why the hell papa and mummy need to study when they already have a job and earning. This was the same question raised by my students back in school when I went for data collection last summer. To them I could explain why it was important to study further and its value but to her I may not be able to explain nor she will be able understand it. For one day I am sure that you will understand why we left you. Tomorrow she will be four year old and I wish her all the happiness and goodness in life ahead, good health and determination in what ever she does. We are truly blessed to have her in our family. Pema is first grand daughter in her papa's family and the youngest in my family. She is very talkative within the family but not outspoken with people outside which worries me sometimes. I want her to be outspoken person so that when she grow up she can stand to share her views and thoughts without any hesitation or fear and most probably so that she will share everything with me. I want to develop a kind of friendship relationship with her instead of sharing relationship of a mother and daughter. I want to be her best friend. Her granny will be celebrating her birthday in the best and small way she could. I know she is much excited of celebrating her birthday because by now she know what birthday means and even knows to sing a proper birthday greeting song. So on this very special day I want her to know that though we are not together nor there to wish but our good wishes and blessing shall always be with you every time. And I also want her to know that she is the best gift I ever had and best feeling I ever felt after her birth. With her I got additional beautiful relationship to cherish in my life. We will soon be together and have good days of togetherness that we missed... Love you dear and be blessed. Wow an award....breath taking though I don't get to hold on to it nor need to stand for the photography with that award but it has its own qualities that takes my breath off. 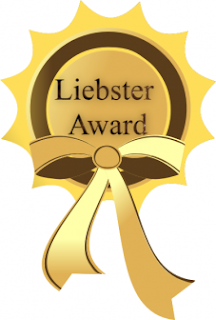 Actually when I went through some of the blog which wrote about this award it said that whoever is nominated for that award should have more than 200 write ups or 3000 readers (not very sure) but something like that I guess which actually I don't fall in neither of the criteria but while I thought about it, the moment I saw the comment in my blog I thought I was actually encouraged to write more and more. The following questions were asked to me by Mr.Tshewang whom I haven't met yet heard more about him from the friends in Rangsit and the professor here. We don't know each other yet I am much thankful to him not only because he nominated me for the award but every time I could look upon him to seek help while I am writing my thesis here. Thank you sir. I started blogging when my Samsung tab got destructed. Haha...It may sound funny but it is since I used to everyday before going to bed, I used type in a memo note for my daughter. This memo notes was dedicated to my daughter after I left here with my parents to pursue my study in Bangkok. I wanted to save all those memo notes for here till she reached the age of being able to read on her own but unlucky I was that before I could save those file my tab got destroyed. Actually my blogging credits indeed goes to many people. Sir Passang (Passu Diary) where nobody can deny on he being an active blogger. I heard about him through my colleagues since I know not him personally but thanks to social websites that I added him in my Facebook. One day I saw one of his blog post in Facebook and I read. It was good and then I came to knew about blogging. So I dropped him a message asking about how do I create my own blog. He did helped me by providing me steps to how to go about and so did I but still wasn't so clear. Next I got help from Dumcho sir who is also another active blogger. Finally I was on my way to blogging but couldn't be an active blogger. 2.Write one reason why you like teaching profession. I like teaching profession because I get to learn and unlearn. Learn what I don't know from everyone and unlearn myself from my own experience and reflection. 3. Tell one thing that you wish to change in the Bhutanese education system? One thing that I wish to change in Bhutanese education system is not to bar the qualified students for higher studies. This issue has recently been uploaded by Sir Passang in Facebook. Before that it did happen with one of my teacher colleague's daughter who qualified for higher studies with very good marks but was not admitted in government school due to her parents census problems. I may not understand or know less of law related to issue concerning of census but if that is the case what about the dedication her father who is a teacher and serving the government school for the past 23 years means? It is not I want the Education system to change but to review on it. 4. How do you relate the benefits of blogging to teaching? Well I relate teaching and blogging as keeping ones professional alive in form of writing. As I said I started blogging to store my memories in form of writing, this writing is actually what my professional demands. It demands me as a teacher to be a good reader, good writer and having updated knowledge. In a means blogging improve myself to write better by putting my thoughts into writings and accelerate myself to be good reader too. 5. Do you encourage your students to blog? For now I haven't suggested idea of blogging to any of my students since I did learn about blogging after I cam for study but if got an opportunity I will surely encourage my students to start blogging since I feel its similar to maintaining of portfolio. So if they are exposed to blogging I guess it will not only improve the standard of writing but they would inculcate the value of appreciating self and others. Since I just reading books by Nicolas Spark, my favorite movie is Message in a bottle which is melodramatic and of-course romantic too. The best part I like are the letters that are found in the bottles thrown in the shores. 7. Where is your favorite place in Bhutan? No favorite place as such for now since I loved all the places I have been since my family has always been there with me. 8. Name one thing you cannot live without. It should obviously be water. I cannot just imagine my life without it. When I just go through the clips of desert area people suffering for drop of water I consider myself the very lucky person to be born in peaceful country. Emotional......Haha..Actually I am and I need no reasons or occasion to drain out my tears, get easily touched or happy in every small things and even get hurts for small things too. So I am very very emotional. Both because I become an adjustable person since I got married. My husband loves drinking suja whereas I didn't much prefer but now I am adjustable to both. Ha..ha...I cannot hold and control myself from laughing when I witnessed the incident I am going to share. On 19th of November I went to Asian Institute of Technology where there are many students from different countries beside Asian students studying in that institute. I was suppose to reach that place at 3 pm but I reached there by 1:45 pm. I had more than an hour to spare where I didn't know what to do. Luckily I had a booklet and a pen and the idea that moment struck my mind was to write something for my Blog to post. I was sitting under a canopy infront of seven-eleven, a mart busy with people. Suddenly I heard a guy using slang that usually Bhutanese use in frustration. Without turning back I knew he was a Bhutanese. The day before back to my room I was talking to my friend about having heard Bhutanese students studying in that institute but I was saying to them that I never came across any one since I frequently went to that place. It was like my word being heard by god and god proved there are Bhutanese studying. Ha..ha..It was funny that when I really came across Bhutanese there, I heard their words first rather than visually knowing them. I just didn't turn and minded my own business but again someone from the roadway sitting on cycle called the boy with his name. Oh infact there were really more than one Bhutanese I found. The boys who could be of my brothers age just went to talk to the another guy (Bhutanese) at my back. They started there conversation with a trip to Puket, a famous tourism attracting center where they were talking of hotty girls found there. That was nothing surprising to hear but the every sentences he ended was always with the so called Bhutanese article "DHA" and so on. I just held my pen in my hands pretending to write but my ears were just being too sensitive to listen what were they talking since the group of guys didn't notice another Bhutanese (me) sitting there. The boy who started the sentences with slang and who ended with the Bhutanese article were saying to his other friends about the parcel he got from his parents where he said he had koka, Maggi and green chilies. So he was asking his friend to get it from his room and was also suggesting to prepare curry with those chilies and having fun together. 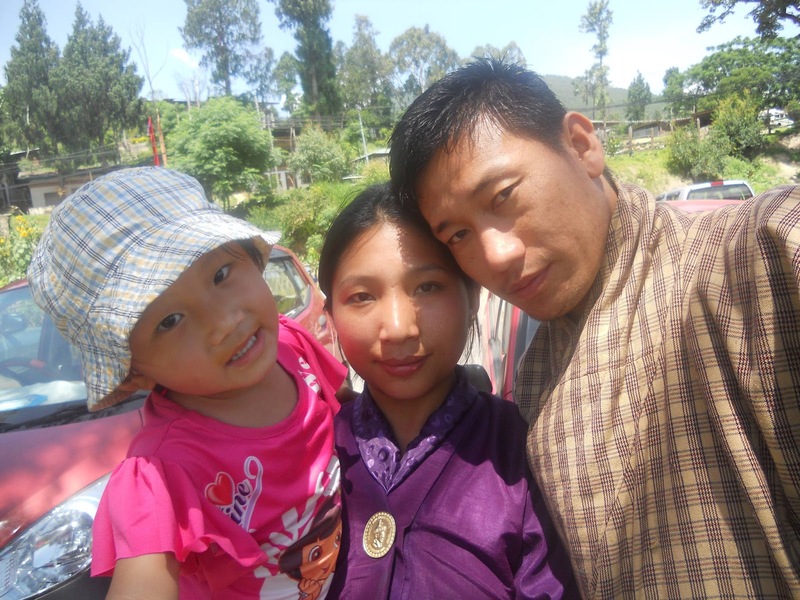 One thing that stroked me was the overwhelming heart of Bhutanese wherever we reside in any corner of the country. The boy was kind at heart and had the sense of belonging to eachother when they were away from their home, family and country as he thought of sharing it with his friends which is a part of GNH but his conversation with those articles and slang reminded me of my friend in my university who always says "Freedom of speech" where we have the freedom to use any words in our conversation since the people here won't understand and so do we don't understand them. The boys conversation could have been manner less or weird if it was back to Bhutan and I guess nor the boy would have used since everybody would understand but he really did have the freedom here. He just went on with his conversation and even talked about the unpredictable weather of Bangkok.It was true I guess since it was a bright sunny day and I was enjoying to sneak my ears in their talk which is a bad manner too but I had fun since those boys didn't know a Bhutanese sitting right infront of them and how they would feel if they knew I was just listening to their talk and if they reflect on the words they used. But the unpredictable weather as said suddenly rained and I just had to run off from there with even a greeting. If it really didn't rain also I don't think I will be able to greet them nor would poke in their conversation since I was enjoying listening to freedom they used. It was curriculum management and Evaluation class by Aj. Boonsiri who has a very best explanations to fewer slides she presents in the class. The class had a discussion on why curriculum need changes and in such discussion came up on Y- generation. "Y- Generation????" Sounded like "why" generation to me and thought that "why" generation" because the young today has so much of questions and curiosity to learn and explore but it wasn't as I thought. It was generation Y. The term was something I never heard of except in the Alphabets and had no idea until the Aj. displayed the picture that I have here. That was something our parents in Bhutanese society don't want their children to be but the generation are so much carried out that they just can't turn off. As we talked bit on it in the class I was kind of curious or thought of what is so special or could be characteristics of generation Y that it also got appealing picture with its caption GENERATION-Y.So I typed in "Google Rinpoche" (even this term has a story behind) of generation-Y and what I found is there was different category of generations like Generation-X, Generation - Y and Generation - Z. That was something funny I never learnt about and that further let me check out the difference into those generations. Therefore my conclusion drawn from those three generations are: Generation X are those people born between the year approximately from 1961 to 1981 and whose world view is based on change, a generation in search of human dignity and individual freedom, the need for stability, love, tolerance and family matters lot. Generation Y are those born between the year early 1980's to early 2000. Those generation are said to be materialistic, lazy, switches from job to job, less emphasis on intrinsic values like self acceptance and community, open minded, confident, self expressive and receptive to new ideas and ways of living. 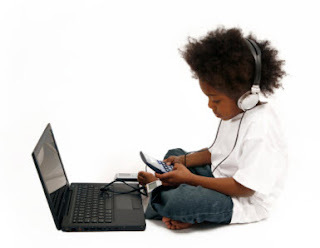 Generation Z are basically the present type of generation where it is said that they will contribute to the economy of country and society since they are said to be born with complete technology. They are born with PC, mobile phones, gaming device, internet etc..and they won't know how to work without the technology. This generation would prefer to be with electronic indoor than going outdoor for play but sometimes the negative impacts like sedentary life styles and not being bothered of privacy and private information is all that bothers a lot. So in my opinion I can say that presently we have less of generation X (approx.30%) and more of generation of Y (40%) and generation Z (30%). Our country, coming up youth are not that explored to internet applications and the strong cultural values ,they are yet to come up with generation Z but if in case of Bangkok where I am presently studying I must say almost 80 of people are generation Z and the rest generation Y since none would fall in generation X. The people here are so advanced with the use of internet, its any type of application ( good and bad purpose) and all. I must say it was a fun to know about those generations. For it was not into my ears you whispered, but into my heart. It was not my lip you kissed, but my soul” and this is how our love story began. Back in the year 2007, when I just joined Samtse college of Education after a year of apprenticeship, I had my dreams and expectation as I entered the college gate. That time, he was in his final year and would be soon placed in schools as per the placement order. I never knew if I would even fall in love with a guy who was just the opposite of me. I talk too much but he doesn't like talking, I was outgoing but he wasn't, I loved jamming up but he doesn't Still, there was one thing common between us and I think that is what brought us together, we both like was the basket ball match. I don’t remember the date when I first saw you because I never expected you to come in my life. However, I can clearly remember how we first met in the computer lab which was packed with students “you were holding a thumb drive in your hand to check your assignment before you printed out for submission.” I now realize, why among many of the student present there I let you to use the computer that I was using even when I had work to do. I just took it lightly and I shared about it to my friend. She then started to tease me saying, “Karma trying to flirt huh?” I said, no I am not I just let him to use first as he was in need and moreover he was senior. I also remember telling my friend that it was a respect I showed to him. The topic was closed. After that I didn't see him as we were in different building and moreover didn't know him well as I don’t have clear image of him. The next time I saw him, he was there in the basket ball court as an official for the match but had no conversation since I wasn't sure of it whether it was really him or not. The third time, I saw him; he was again there in the basketball court playing with his friends. The days passed by and then I never saw him. One day it so happened that our fate again brought us together. We again met during the dinner and I remember having our dinner on the same table. I knew one of his friends as I call him ‘Aue’ and we all sat together and shared the table. I was so busy eating and talking that I almost forgot to notice you. But your silence made me to have a glance at you. After the dinner, we just had a walk down the Chorten and came back. All the way, you didn't speak a word but just listened. So, I just initiated to talk to you, some casual talk and then we left for our own hostels. The next day we met again but just smiled and went away. By the time we knew eachother and talked I knew that your class was just near our hostel and whenever we passed by for our classes I use to see you on the railings or under the tree with your friends. Soon the frequency of meeting increased through that aue and I found my feeling developing towards you. One night, I just thought by myself, “Why I feel something special for him when I just don’t know much about him nor we had a same taste.” I ignored my feeling and I didn't even talk about it to my friend. One day our class had girls volley ball competition where I was also participating. I saw his friends cheering but didn't see him around. After the match was over those aue who were in his friends, started to tease me with him. I just accepted it as a joke for that moment but next day again one of the aue came to me and asked “Am I in relationship with him?” I replied “No, we are not having any serious relationship.” Again the aue said “but I heard kinley (He) saying that two of you are in relationship.” Still I took it as a joke but lately I started to think of it and felt like I was drowning in love and was thinking it couldn't be one sided or is he also feeling the same way; or is it just to tease me? These were the questions that kept on ringing my ears bit I could not stop thinking about him. On 2nd may he went to represent the college for basketball match with college of science and Technology and our college was celebrating teacher’s day. I felt the day so gloomy. Though I was with my friends, yet, I felt his absence. Knowing that he would be back only by evening still I found myself stretching out and my eyes trying to find him .That time I realized that missing someone and not being able to see your loved one is the worst feeling ever. The night, on teacher’s day we went for dinner and I was again stretching my neck to see if I could find him in the crowd and yes I did find him but he was just back from the match. I just asked him, if he would come for the dinner and he responded saying yeah he would. I just waited for him to change and come back but he didn't turn up. I couldn't give my friends a strong good reason for waiting near by the dining hall instead of moving ahead for dinner. The night passed with strong waves of feeling inside me and so many questions on my lips. The last week after I waited for him we never met until the next week, we just went for a walk on the lonely road on Saturday where we again talked so casually about the studies, matches he played etc….we were just trying to act normal. I don’t remember a time where we poured out our feeling to eachother. Every time we meet, we talk about the day’s event. Still then I got as happy as I just needed a time to be by his side. By the time we came back from that walk I wondered how were we able to hold each other’s hands when we didn't express our feeling. He neither proposed me nor shared his feelings but then we started holding our hands. We were couple by then, and that is how we started our strange lover story on May 13th, 2007. Thereafter, it we started seeing each other frequently, had our meals together and were most of the time together. We have our meals together, we went for shopping together and most of the time would be listening to the wind that blows around us and just enjoy each other’s company. So within that period of time, we came to know more about each other. A love story which happened without having to propose but we just knew and felt, we were both in love. The best love story is when you fall in love with the most unexpected person at the most unexpected time. So it did happen to me and I am happy that fate bought us together for we are happily married with the God’s most beautiful gift to us. Our love is made eternal through our beautiful daughter. I learnt that. To be in love, it is not necessary to propose or say those three beautiful words, we just need to feel it. It is truly said, “The root of education is bitter but its fruit is sweet.” This saying is commonly used by young students in their compositions with perhaps little or inadequate understanding of its meaning. The root of education, to me, is the foundation that the teacher lays in the learner. This foundation-laying is not an easy task. It means a lot of effort and unlimited patience but the sight of the learners’ learning things that s/he teaches gives immense pleasure or satisfaction. This contentment is what I call the ‘fruit’ which is sweet – in fact, much sweeter than any sweet in the world. Our education system has come up with drastic changes from the time of our forefathers till now in terms of the quality of imparting lessons to students, qualification of teachers, usage of teaching learning materials and teaching strategies being used etc…The changes have taken their positive development in the education system. However, I feel that there is some difference in the attitude of learners of today from that of those in past. One should consider education their top priority in the technical and competitive world where everything advances so fast. But, do the majority of present learners have that priority? When I recollect my days as a student, I remember the sufferings and the hardships of my parents to educate us. We were frequently reminded of the reward of working hard, the importance of education, value of money and host of lot. But nowadays, how far the present generation of students understands all those things? In stead, they want whatever they see in the shops; they want expensive mobile phones and want to enjoy the luxuries of life and will be happy if their parents drive them to schools in cars instead of scooters. Many different faces show up to us in the schools yearly but we rarely come across children who believe in working hard and who understand the struggles of parents etc... In my service so far, I have come across students with different abilities from which I too learn many things. As a student once, I always felt that teaching was an easy task demanding little work; that teaching is where the teacher just taught what is there in the text book. But now, in the shoes of a teacher, I know the challenges, the enjoyment and courage required to face challenging situations provoked by the students. I had once dreamt of being teacher and I could clearly remember me as a senior student all the time volunteering as a substitute teacher in the primary classes when our teachers had meetings. What I used to do was conduct spelling tests whether I knew spelling myself much or not, give ‘star’ to the highest scorer and sometimes let boys and girls compete in singing and so on. I was thrilled to see the smile and excitement on those faces and I too enjoyed. I never knew of other works the teachers do besides teaching. But now I understand and know about those extra miles that teachers take for the sake of their students and schools. If I compare our profession with other professions, I feel we don’t have ‘off hours’ whereas other civil servants often do enjoy that. I don’t mean that other professions are easy tasks; nor do I mean that I do not enjoy my profession. The gist is that other professions are quite light compared with teaching. Non- teaching professions are time-bound – within office hours. But teachers bring their office home. I have served my first years of teaching year in Dorokha MSS and now in Thinleygang PS, both of which are boarding schools. Having to look after the children right from 6AM till 6 PM (for some, beyond that) lets our own biological children feel neglected sometimes. For that reason, some teacher-mothers need to keep their toddlers after maternity away from them just to fulfill their responsibility. I am also one such mother-teacher. Do other professionals need to do such sacrifices? However, all such challenges make me more determined, stronger in life- putting more effort to balance our professional, social and personal life. Especially a lady teacher in our social set-up needs to play many roles (role of a mother, a teacher, a housewife, a daughter and a friend, etc..). Every role has to be played well and if any role fails then things get messed up. A teacher is said to be a Guru but that Guru has no freedom even to laugh out openly, cannot show sadness she/he has inside, cannot dress the way he/she likes and etc… because tiny, affectionate and learning eyes are watching the Guru and ‘YOU’ is a role model. Actually, I feel I am pretending to be what actually I am not but now this has become part of me and I am used to be what I am not. Sometimes, I really miss those golden school days where my work was just to listen to what teacher taught and write what we knew and besides help my family and enjoy life with friends. But these pleasant things in life students of today do not understand and they often waste their time by indulging themselves in unwanted stuffs. At night, everybody goes to bed expecting good sleep and beautiful dreams but a teacher goes with a reflection of how things went or what to do to help a weak child or a disruptive student. Life is not as simple as we feel but is a mixture of fun, challenges and sorrows, etc…But still I feel that the teaching profession is an enviable one and it has really taught me a lot. It has always shaped me into what I was not and helped me to be a better person. This profession gives me ample opportunities to grow and enrich me with experiences to face any new challenging situations that I had, I have and I will confront hereafter. I still remember when your papa called me and said, “My dear, congratulations! You got selected for the study! I am very happy with your grand success.” Oh my god! The excitement was just “WOW!” I couldn't wait for the person in charge at the Royal Civil Service Commission to tell me when I was supposed to leave. The thought of my presence in the Land of smiles, dreams of having fun with new friends, shopping in malls, exploring new places and enjoying my life as a student once more made me wait eagerly for the day to come. Then it was 19th June, a day of my ‘dream come true’ when I just received a call from Assistant Human Resource Officer, Royal Civil Service Commission saying that our air ticket was confirmed for 24th of June. I felt happy as I started imagining myself in the plane for the first time. Whenever I pass by the Paro air port on my way home I always thought of grabbing an opportunity in future to catch the very bird. I always had a silly fascination of seeing my family seeing me off. The time and days passed by and with the passage of time my heart started aching. I thought about the pain I endure and even shared to your papa, the heaviness I feel deep within my heart although my dreams were coming true. Finally I could feel its all happening because it was the pain I was undergoing, thinking of parting from my family, the greatest blessings in my life. The countdown began and I was left with three days only and after that I would be away from you. Those three days were all I had and I with my careful plan took you and your papa to Paro to spend some time with your grandparents. My Dear, I did it with reason too. I wanted you to be closer to your granny since your papa and I decided to leave you with them. Please forgive us for that but we did not have a choice either. Your papa would be alone and he won’t be able take care of you. I know it would seem like the silliest reason but we didn’t have any better option. The times I served your needs were soon taken over by your granny but I know she loves you as much as I do. I was helpless dear…..I couldn't show you my love and care though I wanted to but I had to keep the distance since I didn't want you to miss me in my absence. I wanted you to think of granny rather than me. I just felt bad and every night when you slept I wept and prayed you wouldn’t notice it. Every moment was captured so that I could reflect and cherish when I would be away from you. The evening of 23rd June was the most difficult night I had ever been through. I just couldn’t imagine myself leaving you and going off for studies. I remember you saw my tears and even questioned me, “Why are you crying, mama?” and I just answered saying I am having a bad headache and adding I always love you. My heart was thumping and the excitement I had so far just took a minute to vanish. I wished the night would never end so that I could hold you in my arms forever. I imagined of every possible thing to happen that would allow me to stay with you, my darling. The night passed by faster than usual and the morning of 24th was the hardest day as I had perceived. I held you in my arms and shed tears for being such a selfish mother who was just leaving you in pursuit of my own success and dreams. You really needed me to hold your tiny hands and walk every step with you and to answer every question you ask at this stage but I am very sorry for having failed to be there for you when you needed me the most. Oh! I just don’t know how to address myself, a lucky woman or an unlucky mother. I say lucky because I was walking my dreams and unlucky because I was failing to serve the needs of my daughter who has the right to it. “How do I weigh myself?” was the most difficult question and I guess I will never be able to answer it. That morning when I took leave from you, you weren't awake and nor did I wanted you to wake up because if you wake up, I would have never been able to leave. Every step I took that morning was the hardest and the heaviest for me. Your granny couldn't say a word to me since she was also crying. Your grandpa was a bit stronger as he gave me some advice with a hug. Your papa went with me to see me off but all the way we didn't say a word to each other. I was crying and when I thought of talking we had reached the air port. Not knowing any of the procedures at the air port I just rushed in as I was late already. Your papa and I departed with a hurried hug and a kiss. I just cried and turned again and again over my shoulders to look at your Papa. Oh! That wasn't the moment I expected when I had looked excitedly at the plane on many of my journeys past the air-port and thought of boarding the plane. I boarded the plane still crying and at that moment it didn't matter if people were staring at me. I was worried about you and instantly I called your granny and asked about you but she said you were still sleeping. I cried again in the plane thinking of you and regretting not bringing you to the airport because I could have had some extra moment to spend with you. The plane started to take off and with it I was being taken away from you my dear. I am not confessing although I owe you countless confessions, my dear daughter. Yet I will still feel guilty for I am not there when you need me, for I am not there when you call me, for I am not there to see you growing up, for I am not there to be the part of the memories you are making every day and I am sorry for I am the reason for keeping you away from your Papa too. I am really very sorry for all the reasons. I cannot really make you understand right now but I hope you will be able to understand my feelings one day. Please forgive me for it. I promise to make it up to you when I get back though I cannot give you the lost moments. Please remember that your Mama misses you a lot and loves you the most in this world.